Students of the Faculty of Architecture of the Silesian University of Technology in Gliwice took first and second place in the international architectural competition #ValenciaCall. Their task was to design social housing in Valencia. According to the university spokeswoman Katarzyna Wojtachnio, out of more than one hundred projects sent from all over the world, the jury of the competition selected Casa Española, designed by Paweł Pacak and Katarzyna Ponińska from the Silesian University of Technology. Their design is inspired by the atmosphere of the Spanish city and its residents` lifestyle. To capture it, instead of one building the architecture students decided to design four smaller ones, forming a coherent residential complex. "Narrow streets intersecting a closed quarter provide natural ventilation and air circulation, and create the Spanish atmosphere of narrow and charming streets. The ground floor is open to residents not in the form of services, but a multifunctional square where Spanish life happens 24 hours a day. 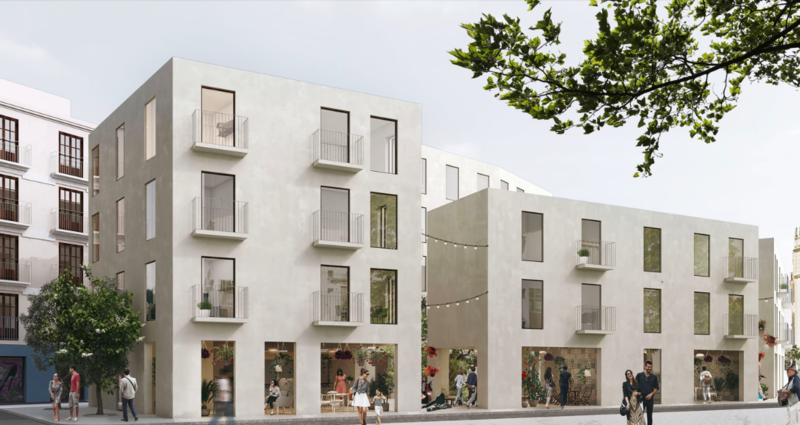 Fiesta, siesta, afternoon coffee, dinner, evening entertainment, meeting friends or ordinary relaxation - the life of the residents gives a new look to the façade and creates a vibrant and colorful image instead of a dead glass" - the winners of the competition describe their project. On the ground floor of the residential complex they designed a snack bar, a summer kitchen, a cafe, a garden and a relaxation area. The height of the buildings has been adjusted to solar conditions. Façade of buildings is simple and modest, plaster and glazing refer to the architecture adjacent to the object. The jury awarded second place to the project El Espacio, also prepared by students of the Silesian University of Technology: Marta Błaszczyk, Anna Czapla, Filip Gawin, Kacper Kania and Marlena Michalska. 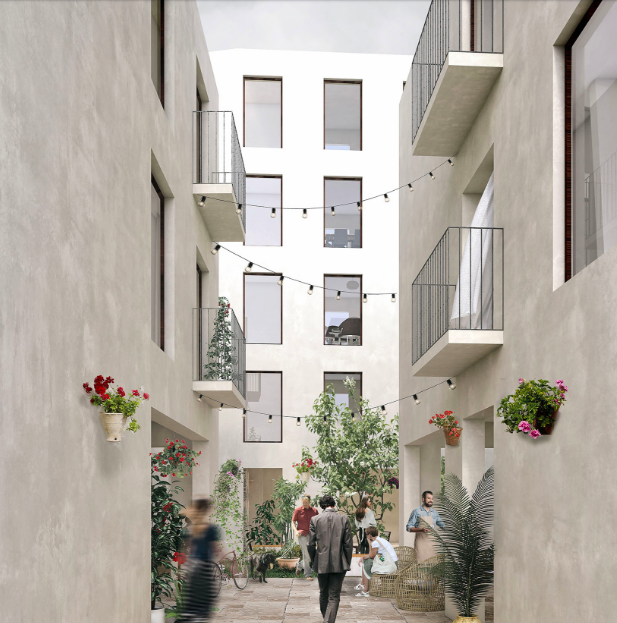 When creating their projects, the competition participants had to take into account the historical city centre and the presence of historic buildings, as well as the needs of the local community, local culture and tradition, trends in social housing and the purpose of the building.